The year-end months (November - December) have become Fever Season. Last week, My cousin who is a doctor himself got dengue and had to be treated for week. It is not only due to climate but also due insects and mosquitoes. Cleanliness is the best defense and hence deep cleaning is the best cleaning method. Let us start the new year and pongal season with deep cleaning of our houses. What is deep cleaning? Mothers put in their best efforts to clean the kitchen every month. But cockroaches escape regular and monthly cleaning by hiding in hard to reach corners like under the cylinder, sink, cracks, and crevices. They carry germs and bacteria, come behind the back, crawl on food and utensils, contaminate food and spread Food Poisoning. While family members and guests suffer, kids are the first ones to get this infection. Hence, it’s very important to eliminate hidden cockroaches from the kitchen. The simple, handy and reliable solution is to apply LAL HIT each time when you clean the kitchen. This thorough cleaning of the nooks-and-corners of our houses with LALHIT should be aptly called deep-cleaning. 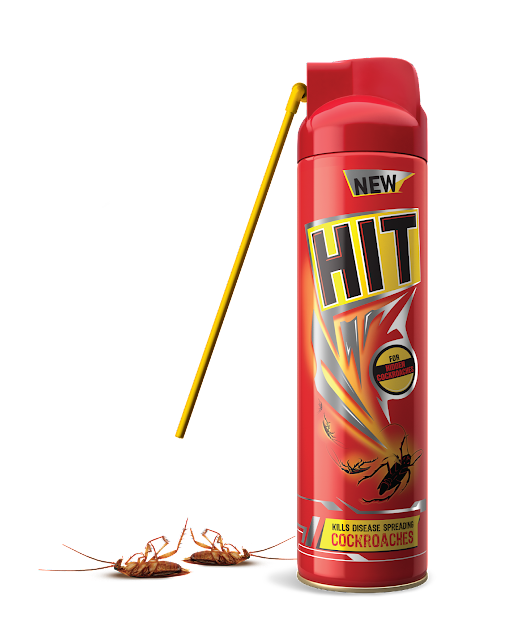 LAL HIT is the only solution that can eliminate the hidden cockroaches. It comes with a Deep Reach Nozzle that can get onside deep corners, cracks, and crevices. This simple habit can avoid food poisoning at home. Moreover, LALHIT now comes with a freshfragrance. I infact deep-clean my house almost every month with LAL-HIT. After deep cleaning it is a time of a healthy and unique pongal recipe. Pachai mochai grows only in this season (winter). In villages pachai mochai kuzhambu along with raw rice (pacharisi satham) is a important pongal dish. The Pachai Mochai is also famous in Katrnataka. I have found out many such winter season special recipes of South India. Stay tuned for more. 1. Heat 1 tbsp of oil in a pan; add onion and cumin seeds. Fry till the onion becomes translucent. 2. Allow it to cool down completely. Add chopped tomato and grind them into a fine paste using little water. Keep it aside. 5. Boil mochai payaru with little bit salt and ¼ of water in a pressure cooker for 1 whistle or cook in a vessel till it becomes tender. 6. Heat 1 tbsp of oil in a pan, add mustard seeds and cumin seeds wait for popping. 7. Then add the fenugreek seeds and curry leaves. Fry for few seconds. 8. Then add the chopped onion and garlic pods. Fry till they become translucent. 9. Add chopped brinjal and fry for 2 mins. 10. Now add tamarind juice (from 4), ground paste (from 2), turmeric powder, Red Chilli powder, coriander powder, sambar powder and salt. 11. Boil this mixture till the raw smell goes off. Then add boiled mochai (from 5). Cook for 2 more mins. 8. Now add the coconut milk and hing powder; cook them till they become little bit thick like kuzhambu consistency. 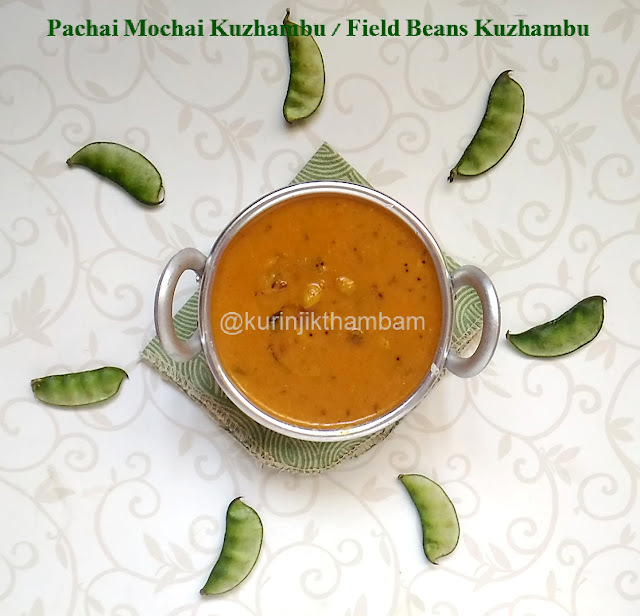 Pachai Mochai Katharikkai kuzhambu is ready to serve with white rice for this Pongal Celebration. 2. You can use big onion instead of sambar onion. 3. You can use coconut paste instead of coconut milk. This new year, begin with a healthy habit of monthly kitchen cleaning with LAL HIT and stay worry free from the cockroaches attack on your delicacies.